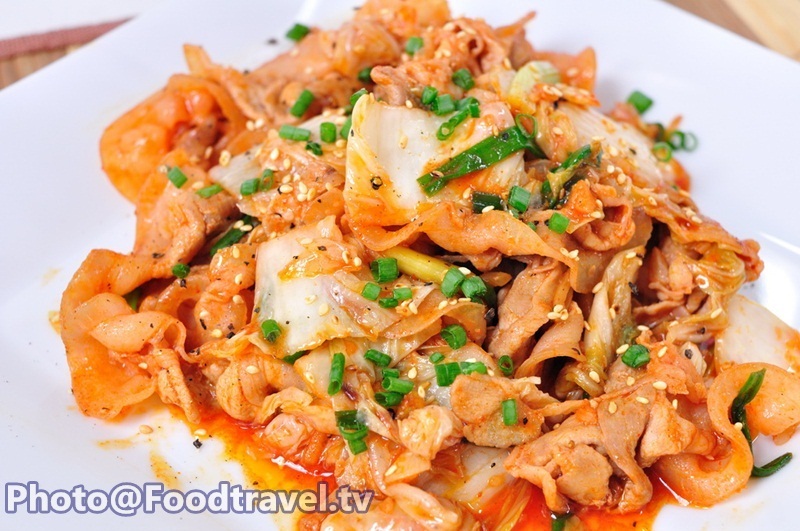 Stirred - Fried Pork with Kimchi (Korean Style) - Korean food style that bring Kimchi ito stirred -fried with streaky pork. 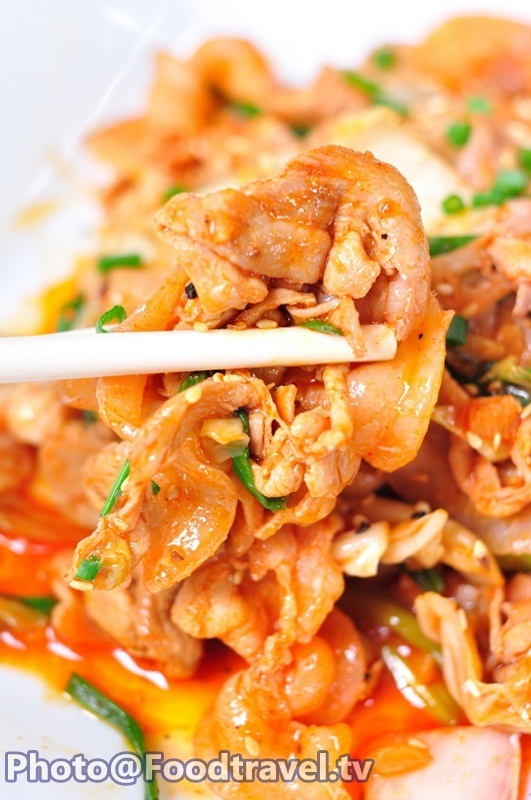 It's easy but so delicious with the taste that go really well together. Just eat with hot steamed rice and miso soup. Perfect! 3 Spring onion, 2 stalks. 8. Sesame oil 1/2 Tbsp. 1. 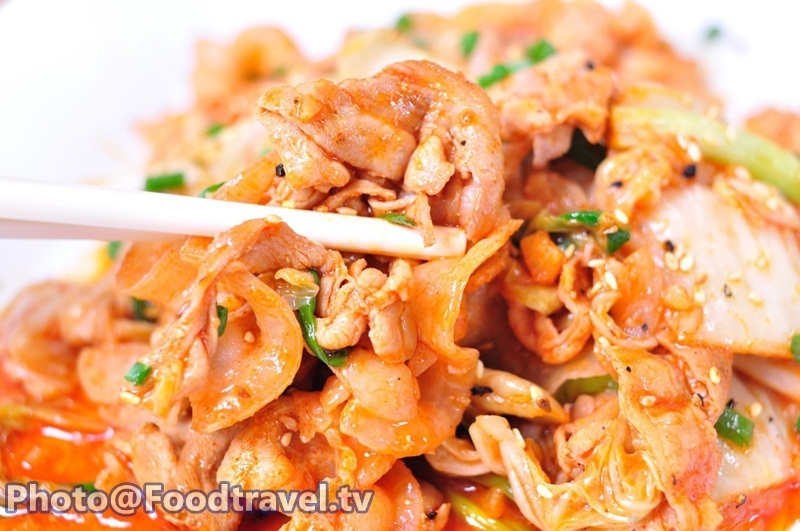 Pour oil into the pan.. Fry garlic, add pork and stir-fry until cooked. 2. 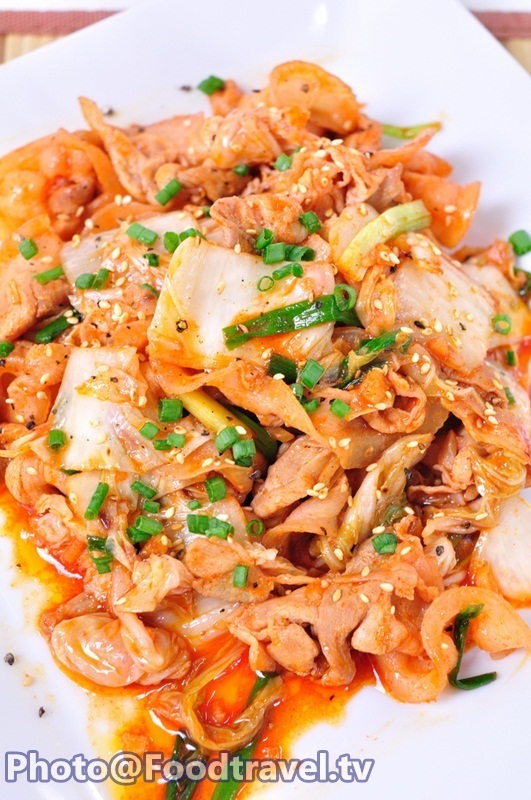 Put Kimchi to stir until well combined. Add onion. Season with salt, pepper, sesame oil and stir to combine. Turn off the heat. Sprinkle with roasted white sesame. Serve. 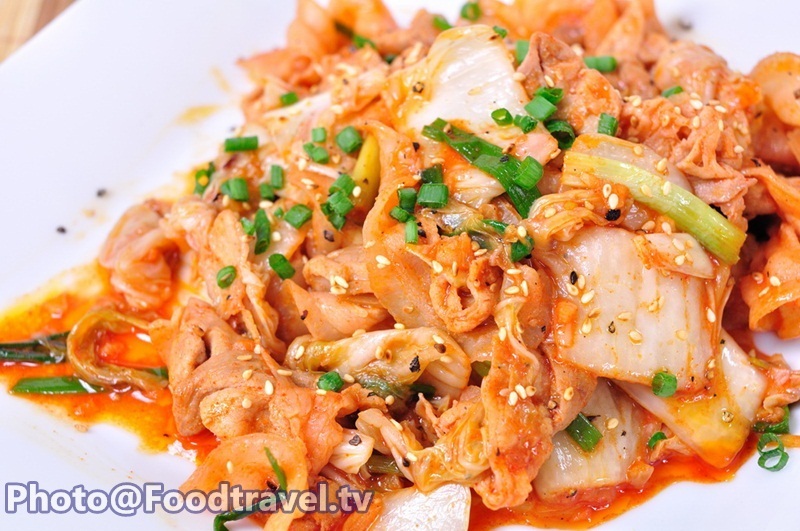 Stirred - Fried Pork with Kimchi (Korean Style) - Korean food style that bring Kimchi ito stirred -fried with streaky pork. 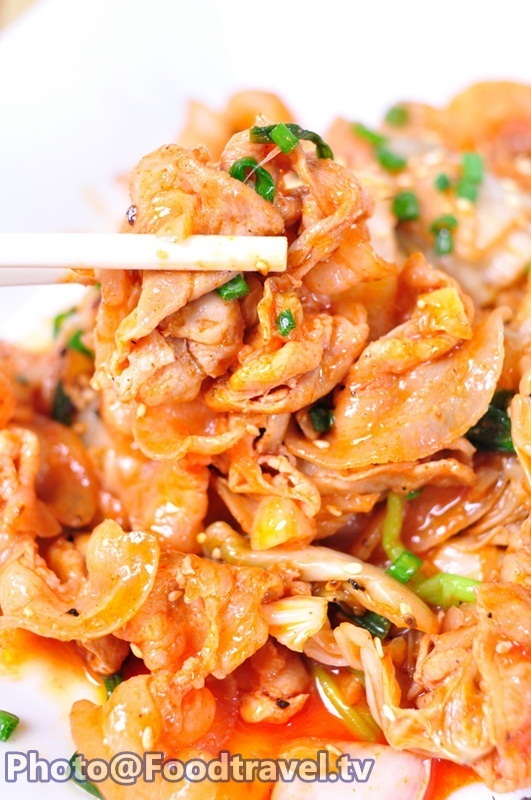 Its easy but so delicious with the taste that go really well together. Just eat with hot steamed rice and miso soup. Perfect!